Larry executed his first tattoo in 1958. He moved to Alaska in 1965 and opened the tattoo shop in 1975. His work has won many awards and is known world-wide. 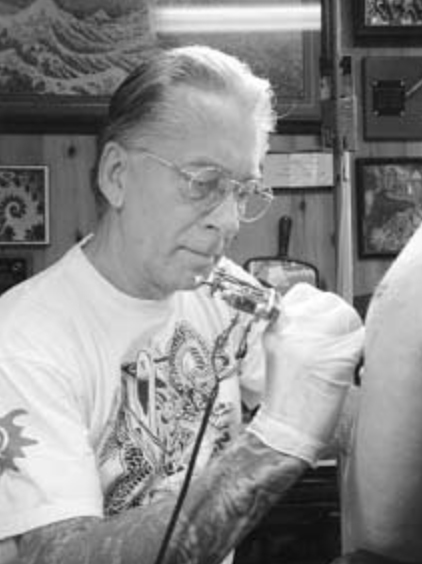 Larry retired in 2004 after tattooing for years in Alaska, California, Hawaii, and Canada. Anchorage Tattoo Studio is proud to be family owned and 2nd generation managed.